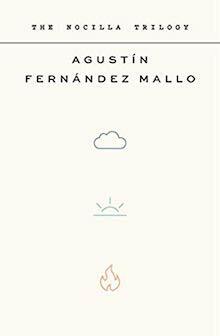 Given that this post is sort of about Agustín Fernández Mallo’s “The Nocilla Trilogy,” (translated from the Spanish by Thomas Bunstead, forthcoming from FSG) it doesn’t feel as pretentious and out-of-place to quote myself at the beginning as it usually would. This trilogy foregrounds its pretentiousness, its desire to self-reference, its commitment to being a work of performance art (or a work that details a series of various pieces of performance art, each one more performan-cy than the last, such as “Steve’s Restaurant,” where one of the main characters—although “main” feels too strong, maybe “rhizomatic,” since this book is more about landscape than plot and does reference Deleuze and Guattari —runs a conceptual restaurant where he bakes up Spider-Man figurines and decides to “cook the horizon” in a way that’s simultaneously compelling and a bit eye-roll-y. Although all my notes for this post derive from what I perceive as the “flaw” in these novels—plus the cultural perception of that “flaw”—it seems like a much nicer opening to start by saying some nice things about this book. All of these elements are right in my wheelhouse, and I do think that, if those elements appeal to you, these books (I keep saying that and should explain . . . “The Nocilla Trilogy” is made up of The Nocilla Dream, The Nocilla Experience, and The Nocilla Lab) are worth checking out. Even if they don’t add up to any grand statement about being or art, they are incredibly engaging to read and feel very sui generis. Lots of great lines that double as great statements—some of which I’ll pepper throughout this post, which is, admittedly, not really about “The Nocilla Trilogy” much at all—worth underlining and tweeting and recalling at random introspective moments. 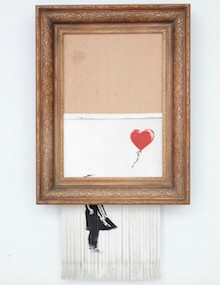 It also contains a section in which a character meets with “a handful of executives from New Directions” and convinces them both to publish his book—a novel pieced together out of the opening lines from dozens of famous books—and to take out billboards throughout Madrid advertising it. This is all a bit crazy—and again, these novels are mostly about representing various works of conceptual art—but not as crazy as the reference to New Directions being based in Philadelphia. If it had been Pittsburgh, that would make sense, since that’s were James Laughlin was born. But Philly? It is true that Declan Spring lives in Philly, so maybe this section is some sort of weird appeal to him? The equation that links the time on the 2 clocks is: T’/T = [1 – v²/c²] – ½. But this being so, we come to the so-called Twin Paradox: perhaps we may all turn out to be mistaken twins living out of step with everyone else, desynchronized by journeys near the speed of light. When this light ceases, you die. If you stick with this till the end, I’m 60% sure it’ll all make sense. But for now, we’re going to swerve into math and valuation. What’s most interesting to me about the rise of sabermetrics and its impact on baseball analysis is the way in which the fundamental approach intersects with various ideas from behavioral economics: namely that the “eye-test” isn’t 100% reliable because our brains aren’t perfect computers. There’s some Bill James quote related to this. I don’t have it in front of me, but, paraphrasing, it’s more or less along the lines that the difference between a .300 batter (all-star! good!) and a .280 hitter (fine, but not remarkable) is one extra hit every two weeks. That’s something that, sans infographics and announcers and the Elias Sports Bureau and Fangraphs we would most certainly not notice no matter how closely we paid attention to a particular team. Taking that one step further, if you, whoever you are and whatever sport you like, were in charge of a group of people trying out—all of whom were professional athletes—how confident are you that you could discern which 9 were the absolute best? What would it actually take to distinguish between various quality players? Each is considered an open set in the space Rn, though it can be defined as a diffuse space if the two balls intersect it. I’m probably just an idiot, but I had no idea what “Nocilla” was when I started reading this book. I assumed it was something all chic and Spanish amazing (Span-azing? ), like IKEA + Tempranillo + paella. WRONG! 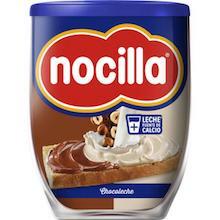 It’s just Spanish Nutella. Which, cool? I guess? I mean, Nutella is pretty great . . . Although if this had been called “The Nutella Trilogy” I would never, in a hundred million years, have picked it up. I would’ve assumed it was a foreign version of The Chocolate War or some other YA nonsense. Game of Thrones + breakfast. A moralistic fable from your dentist. Something about bad kissing. But nocilla?—pronounced “no-CHEE-a” or “NO-see-ya” or “no-SILL-ah,” and since there’s no possible way to find out which is right, we’ll write all three—sounds baller. This title might add value to the book itself . . . for a gringo. is called an open n-ball of radius r and center a. We denote this set by B[a] or by B[a; r]*, applicable to all systems, spaces, or persons that are receptive to apparently random searches of all kinds. Here’s what I actually want to talk about—not baseball, not Nutella: the value of books. And this section here?, it’s a bit of heavy lifting. But again, I’m 60% sure this will all tie together in the end and make sense, and 60% sure that my final joke will land. What is anything “worth”? Whatever someone is willing to pay. This is a truism, but when you stop to think about it, prices start to seem very arbitrary and weird. Sure, there are fixed costs that set a baseline for the price of your Starbucks coffee, but you/me/the world have almost no idea what those costs are, and instead are willing to accept a 5000% markup because $3 for a venti seems about fair. Pricing Theory is crazy. You can get people to pay for melted Spider-Man figures through novelty and a write-up in the New Yorker. People who study pricing figure out how to extract the most “customer surplus” by looking at what people are “willing to pay” and then employing some fancy math. (Along with various schemes like versioning to make sure that people who are willing to pay more than others have the opportunity to fork over the maximum amount.) Prices are determined by what will make the company the maximum amount of profit. But the price of something is not its value. Value lasts longer. It means deeper. It’s not about the price coded into the barcode (money feels so artificial at times), but about a lasting feeling and mental reaction that’s closer to “impact” than any other clichéd word I can come up with right now. Value is social—what does this art work mean to society on the whole, from a hundred-year viewpoint—whereas price is individual and semi-impulse driven. Let’s make a bold, disputed, ignorant statement: Nonprofit presses traffic in value because they care about the future of society; corporate presses traffic in price to make sure they make maximum profit year by year by year. Here’s a question to ponder in 2019, after this series of posts is completely over and I’ve moved on to pastures happier or more classic or less this whatever this might be: Is publishing a zero-sum game or not? The initial (correct?) impulse is that it’s most definitely not. If all publishers reach more and more readers every year, there’s no reason to believe that the number of book readers has an upper limit. But does that really track? According to this report, between 2013-2017 adult fiction only had one year of growth (2015), and was down 1.2% between 2016 and 2017. That’s not a great sign. This concept of an upper-limit on potential book sales is further complicated by the fact that there’s only so much shelf space in the country. Sure, everything is available through Amazon, but only X thousands of units will be displayed/showcased at the nation’s bookstores. And approximately 70% of those units all originate from a single company—Penguin Random House. Put those facts together, and it starts to feel like there are real strong limitations on how many books will be sold in a given year, setting up a faux zero-sum situation in which more sales of book X will reduce the sales of books Y and Z. And when Open Letter is competing against PRH for readers and dollars, we’re basically never going to win. We don’t have the resources or the reputation, the connections or the influence. It’s simply not true that the “best books rise to the top.” At least not in terms of sales. But are sales really the best way to evaluate a book’s success? Sure, I don’t care about coastal elites or book lists either, but I’m sure that this list is more signal than noise to the average book buyer. If you only read a handful of titles a year, and these books are both displayed everywhere and showing up on lists like these, why wouldn’t you just buy one of the most popular, “best” books? If you take a game that should be infinite and restrict the choices that one has access to—either directly, in terms of what’s readily available, or through influence over perceptions of readers—the game starts to imitate a zero-sum situation in which shelf space is premium and value is tied to “buzz” and there are only 12 books at any given time that any part of society will bother talking about. It strikes me that worldwide reading statistics are wrong: there’s all the writing on the side of the packaging and wrappers to take into account.